A main goal of dialectical behavior therapy is to improve emotional regulation and reactivity to external stimuli. 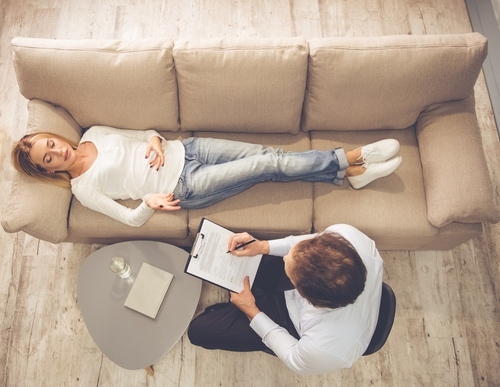 These skills can be especially impactful for people with substance abuse disorders, as they tend suffer from intense mood fluctuation and sensitivity. Many people with substance abuse disorders are also impacted by borderline personality disorder. DBT has been proven to be one of the most effective methods of treatment for BPD, due to its behavior and thought modification. DBT also focuses on reducing stress, learning how to manage every day life, and interpersonal skills. All of these things combined make long term sobriety more accessible. Dialectical behavior therapy helps clients identify triggering thoughts and situations. For example, a boss being unhappy with ones work performance. The client will then assess whether this situation warrants the extreme emotional reactions they are experiencing. The client implements evidence-based thoughts to counter act their “triggering thoughts”. Clients learn and implement self-soothing exercises and coping skills to aid with emotional regulation. Dialectical behavior therapy is an extremely effective form of therapy due to the diversity of areas in which it can be implemented. DBT can be used in group therapy, in the form of skill building, or in training groups. This is where clients can learn life skills and interpersonal effectiveness. Individual therapy is also an area where DBT can be used. Clients share personal experience and then use/implement new coping strategies in order to handle life more efficiently. Both of these methods are extremely important in the treatment of substance use disorders because clients are generally learning for the first time how to live as a responsible adult. Clients with substance use disorders also need to learn new coping skills, rather than turning to drugs or alcohol to sooth intense emotions and stress.